Each page includes an attention-grabbing graph, chart, or table with questions to help kids read and interpret the data. 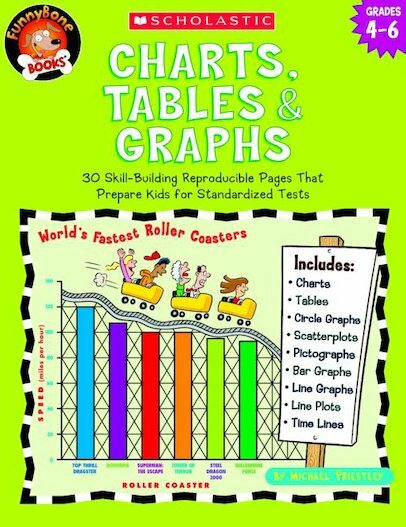 Includes bar and line graphs, circle graphs, schedules, pictographs, and lots more. A perfect way to build on kids’ interests and prepare them for standardized tests.